The Genesee Symphony Orchestra presents: Brian, Brahms and Bernstein, a concert featuring world renowned pianist, Brian Preston, performing Brahms Piano Concerto No. 2 with the GSO. The 4 p.m. concert will be at the Stuart Steiner Theatre on the campus of Genesee Community College. The GSO mission - to link a diverse public with the arts - is paramount to everything we do. 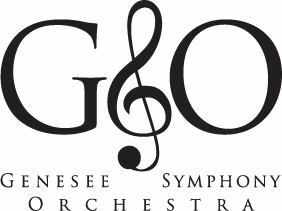 From their annual Meet the Orchestra event to the Young Artist Competition and String Workshop, the GSO engages the community and brings a distinct awareness of the arts to our rural region. This concert is made possible, in part, by the New York State Council on the Arts with the support of Governor Andrew Cuomo and the New York State Legislature.